In partnership with The Friends of the Saint Paul Public Library, The Advocates presents a Women's Human Rights Film Series. Documentaries on a wide range of women's rights issues are screened, followed by discussion hosted by The Advocates' staff and guests. The screenings take place at Saint Paul Public Library branches and are free and open to the public. This drama, with a cast made up of local villagers playing roles that mirror their own lives, was inspired by true stories from the Student Academy Award-nominated documentary, "This is Us," creatively led by students from the village of Sinthiou Mbdane. 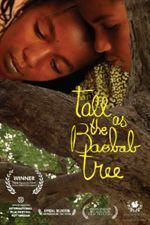 "Tall as the Baobob Tree" tells the story of Coumba and her plan to save her 11-year-old sister Debo from an arranged marriage in a small Senegalese village undergoing a generational paradigm shift in cultural norms. "Tall as the Baobob Tree"